In 1939, Martin Goodman created Timely Publications. This company would eventually evolve into the iconic Marvel Comics that we know today. 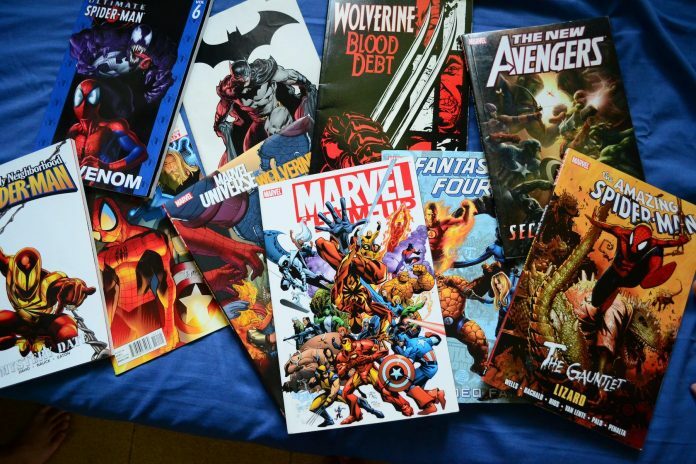 Comic books were only just beginning to become a popular form of entertainment, and Goodman, who originally worked on pulp magazines, was eager to see how big they would become. Marvel Comics #1 was released in October 1939, which included the first appearances of the superhero the Human Torch and Atlantis Namor the Sub-Mariner. The comic book proved to be a huge success and sold an estimated 9 hundred thousands copies. In 1941, Timely combined forces with Jack Kirby to create the iconic superhero we all know and love today: Captain America. Captain America Comics #1 also proved to be a massive hit, selling $1 million worth of comics (which is over $17 million in today’s dollars!). It was said that the comic was as popular as it was due to the overwhelming patriotic sentiment of the time during WWII. Shortly thereafter, Goodman hired his wife’s cousin, Stanley Lieber, to help around the office. After Joe Simon left the company in 1941, Lieber became the legendary Marvel mastermind “Stan Lee”. Stan Lee created or co-created about 210 characters in his career. He loved his work with all of his heart, channeling his energy and creativity into the characters we cherish still to this day. Eventually, Timely Publications became Marvel Comics. The first comic released by the newly founded Marvel Comics was Journey Into Mystery #69, which was part of an existing science fiction series. Lee is credited for revolutionizing the comic book industry by creating heroes and villains that resonated with both readers both adult and children alike. The first commercially successful superhero team released by Marvel (Yes, even before the Avengers or the X-Men) was The Fantastic Four. Following this formula, the rest became history. This chart from AAAStateofPlay.com reveals the years in which 101 comic book characters were first introduced. This timeline is completely screwed up. Just to mention two problems that jumped out at me: The Winter Soldier’s first appearance was not in 1941; that was year we were first introduced to Bucky Barnes as “Bucky,” Captain America’s sidekick. Carol Danvers as Captain Marvel did not make her first appearance in 1968. Yes, that was the year Captain Marvel made HIS first appearance, but he was Mar-Vell, the original Captain Marvel. And, here’s a bonus: Patsy Walker wasn’t Hellcat in her first appearance in 1944. I also have an issue with the use of the latest most modern versions of each character’s costume. Why wouldn’t you use the original, first-appearance costumes?